Cleaning AC coils is one of the most important actions you can take with your air conditioner to keep it from breaking down as fast. If you are attentive to cleaning the AC coils, then it will pay off in the long run because you’ll be less likely to have to try and fix the machine during an emergency situation where it’s 90 degrees outside. You’ll be happy that you did. You can tell that cleaning AC coils is important because if you don’t, you end up with a number of issues including ice buildup, the transfer rate of heat tanking, the unit’s capacity for cooling going down, the cost of energy going up, and other issues. The below tips on cleaning AC coils are all designed to help prevent these issues specifically. You can’t just start cleaning AC coils off the bat without making preparation first. Not only will such an attempt be dangerous, but it will also be inefficient at actually allowing you to clean the coils in a way that will have any kind of significantly positive effects on the overall unit. This means you should start by turning off the air conditioner in general, including at the thermostat level. You will also want to loosen anything holding the access panel down, such as screws, and then put the screws or fasteners somewhere safe so that you don’t lose track of them. If it’s not obvious where the access panel or screws are, you should check in the manual for the unit in order to properly locate them. It’s best to use a more professional compressed air machine if you have access to this. But, if not, you may be able to get away with a can of air for smaller jobs. The key is to shoot air across the dirty coil against the normal airflow in the room. This will create enough disturbance to get the dirt and other detritus in the coil to shake loose. Additionally, you will want to get the top of the compressed air machine close to the parts that aren’t coming loose in order to maximize the amount of pressure that you put on them. It’s also going to be important to try aiming the air at an angle when blowing through the more sensitive parts of the machine in order to avoid damaging it. This can happen if you use too much pressure. There are a number of dangers to be wary of during the points that you’re blowing air across the coils. For example, there is always the possibility that dirt inside of the coils could ricochet back into your eyes. This is why you should make sure that you wear adequate eye protection, such as heavy goggles. Plus, there’s also the danger that while you’re using compressed air, that you might accidentally blow dirt or other debris off of what part of the coil and deeper into another. This is why there’s a recommendation to use something to clean up after the air compressing part of the cleaning is over, such as vacuuming up everything, for example. After you’ve thoroughly cleaned the coils with compressed air, you’ll be able to do a more thorough job by using cleaning fluid. This is because the smaller bits of dirt that are loose in the coils will just get in the way of using something more thorough. A common recommendation at this point is to use no-rinse cleaner. You’ll want to cover all of the coils with this and then allow the cleaning fluid to drip down into the condensate pan underneath. One option that many people are going to be able to turn to fairly easily when looking for a solution for cleaning AC coils is detergent since not everyone is going to have access to cleaning agents that are considerably stronger than that. If you mix mild detergent and warm water, you can spray it on the coils. Once this is done, you should just let it stay like that for a minute. It should help knock loose anything that didn’t come off with the other methods. At this point, it would help to just get a cloth and wipe everything down. This should help make the coils nice and clean so that condensation doesn’t form around dirt, causing the usual problems and inefficiencies. At some point, you may have to recognize that you can’t do it on your own, based on the situation, and you may need to call in a professional to assist. Examples of when this is the case would be if there is a lot of mold on the coils that does not come off easily. It can actually be dangerous to just allow the mold to stay on such coils because it could be distributed into the air and cause medical problems for people in the house. 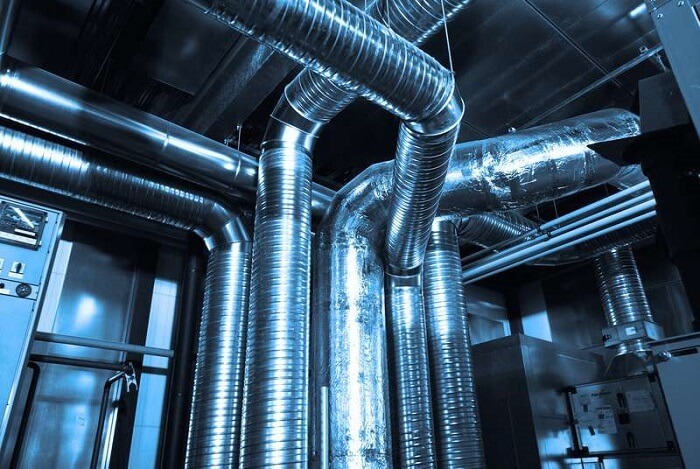 It can also be the case that there’s some problem with the coil that requires equipment that people who aren’t HVAC operators would be unlikely to have access to in general. These tips are all things to keep in mind while you’re cleaning the coils in whatever way is easiest for you. It’s not absolutely necessary to use every single one of the tips, since some of them may work better or worse for you depending on your situation, and some of them may even be irrelevant for your circumstances. Be sure to add your ideas on this topic where relevant. It can help to get ideas about experiences with cleaning AC coils from others in order to see how things went with them since this can often lead to making you feel better about your own objectives. Most people already know that the capillary tubes are what helps the medical technician in a lab draw blood for testing. However, not many realize that same technology is also used in their kitchen refrigerator. A capillary tube is made of ultra-thin, rigid material (plastic or glass) which enables liquid to flow up the tube against gravity. This is called the capillary action. The diameter of the tube governs how high liquid rises. Example, the smaller the inside of the tube, the further up liquid can climb. Water molecules are sticky. They tend to stay close together (cohesion) and stick to the surface of whatever they touch (adhesion). Simply put, whenever adhesion overcomes cohesion, capillary action occurs. When water molecules stick to the surface of the capillary tube, they exert a pull on the molecules below, and the shorter the distance, the stronger the pull is. Normally fashioned from copper, capillary tubes are used as throttling devices in major appliances such as refrigerators and A/C units. As the refrigerant leaves the condenser and goes into the capillary tube, it quickly drops in pressure due to the small diameter of the tube. Under normal circumstances, the refrigeration plant experiences a drop in pressure across the capillary. Once the plant stops, the pressure across the two sides of the tube equalize. Then, when the compressor restarts, the load isn’t as heavy. As a non-adjustable device, you can’t control the flow of refrigerant through the tube like an automatic throttling valve can. This means the refrigerant flowing through the capillary can alternate depending on the changing conditions. For example, the condenser pressure increases right along with the high atmospheric pressure. The evaporator pressure lowers with a lighter refrigeration load and this changes the flow of liquid through the capillary. In short, the capillary tube is designed to work best under certain conditions, but even so, if selected properly, the capillary tube technology still works well in a variety of conditions. Since the capillary pressure is equal once the refrigeration unit stops, be careful not to overcharge the refrigerant. Overcharged systems raise the discharge pressure from the compressor and cause overloads. Therefore, knowing exactly how much refrigerant to use is critical. Brazing a capillary tube to a condenser and its coil is not a job for the inexperienced or non-professionals. With such a small diameter to work with, there is a chance of blockage when you do the brazing deep within the tube. The accumulator has a cylindrical shape and they make it by pouring copper into a small hollow vessel. Located between the evaporator and compressor, it has a very important job. It doesn’t always happen, but sometimes the refrigerant that comes out from the evaporator has some liquid particles which the accumulator separates. The liquid refrigerant collected then slowly vaporizes and arrives at the compressor. In case of a drastic drop in evaporator loads, the accumulators also work to prevent the flooding of refrigerant to the compressor. 3. How Does Capillary Tube Blockage Occur? The inside diameter of a capillary tube is very small. As such, large particles block the tube if they reach it. When this happens, it starves the evaporator, the suction power drops, the refrigerators are less cool, and the compressor needs to work that much harder. The end result increases the head pressure and the possible danger of over-heating. Many blockages occur during the installation or assembly process, but they can also form during normal operation. You can calculate the blockage in a simple way. Dry nitrogen goes through a new length of capillary tubing at a controlled rate. You can measure the blocked tube for the nitrogen flow using the same technique as for the new tube. All measurements, including diameters, are identical and you can easily determine the degree of blockage by dividing the difference of the flow rate through the cap and then the control tube. See the ASHRAE test method for a more detailed explanation of this procedure. 4. What Happens When Boundary Lubrication is Inadequate? This situation leads to severe wear on metal and comes from many different causes. Design issues, poor construction, processing chemicals, using lubricant not recommended or metal slag that finds its way inside, all lead to a problem. Using the wrong lubricant, or processing chemicals present which don’t match the refrigeration lube causes the formation of residue which can block a capillary tube completely. For a long time, CFC’s and mineral oils (both non-polar) played an important role in most refrigeration systems. It didn’t matter if the parts were still dirty after manufacture because non-polar processing oil is soluble in non-polar refrigeration oil. Chemical compatibility problems began with the use of polyol esters and HFC’s. These chemicals do what they must do. However, you should note that the difference in polarity between them and mineral oils could lead to chemical insolubility. For them to match with HFC refrigerants, people needed to replace the new lubricants with a polar chemical nature for non-polar oils. Extreme temperatures also affect the solubility of chemicals. The evaporator is the coldest area of the system and it’s here incompatible chemicals precipitate. Precipitates manifest as residues and if they find their way into the refrigerant particles accumulation at the cap tube entrance can restrict the flow. You can avoid trouble by completely removing them from the system with a thorough rinse before adding refrigeration oil. Most of the air conditioning units these days are centralized in nature. 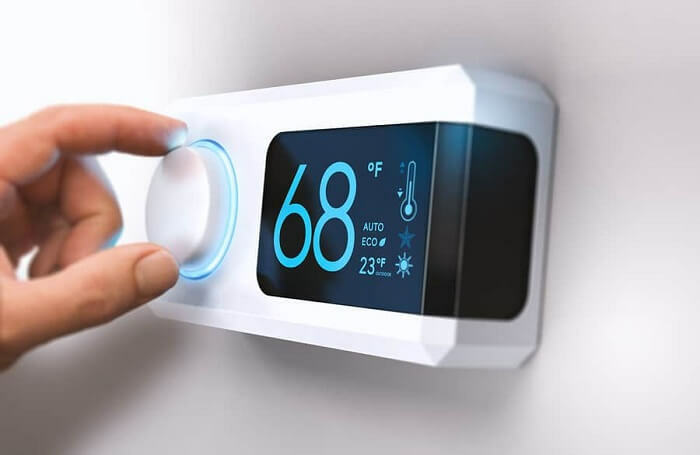 If you come home after a long day at work or from a walk in broad daylight, it could not get more annoying to see the AC at your place not working or getting charged. There is a complicated phenomenon involving the transfer of heat upon which the air conditioning units function. All of this is facilitated by a refrigerant. And whenever there is a decline in the refrigerant level, it is a clear indication that your centralized AC unit needs a recharge. It happens as the transfer of heat does not occur with low refrigerant levels. That’s why it’s important to learn how to recharge AC unit. Since the options are plenty in number, it is extremely important that you know the kind of refrigerant the AC unit uses. If you use a wrong combination, it would be worse than having a non-functional air conditioning system. If all of this seems too technical to you, just call in an expert who would get the job done for you. But if you decide to do it yourself, then the following steps could be of great assistance to you. Almost every air conditioning unit comes with a documented manual for help. If you are not aware where the compressor is, then use the manual and locate it. In its appearance, the compressor looks identical to a metal cylinder. Here, some information on troubleshooting an AC compressor might come in handy if you’re encountering issues with it. An important step to remember before adding the coolant is to check if all the remaining components are in a functional condition. It is crucial because if you add the coolant and the root cause is something else, then it would mess up the whole system in a bad way. In that case, you would be looking at not only more effort but also more money to fix it. But once you identified that the cooling agent is the root cause, proceed to step 3. The next step is to find out where the service valve is. Once you have located it, connect it to the compressor line in the AC unit. If you are not totally sure about this step in how to recharge an AC unit, you might either use instructions on the kit or use some reviewed online resources to complete the task. The next step is to locate the tap valve. Use the instruction manual if you have difficulty locating it. Once you find out where the tap valve is, connect it to the remainder of the compressor line. The next step when learning how to recharge an AC unit is to add the cooling agent to the lines. To accomplish this task, you need to attach the container with the cooling agent to both the valves you installed in the previous steps. In simple terms, the air conditioner will act as a potent force to let the cooling agent (like freon) inside the unit. There will always be an instructional manual and if you encounter any difficulty with anything, follow the instructions. 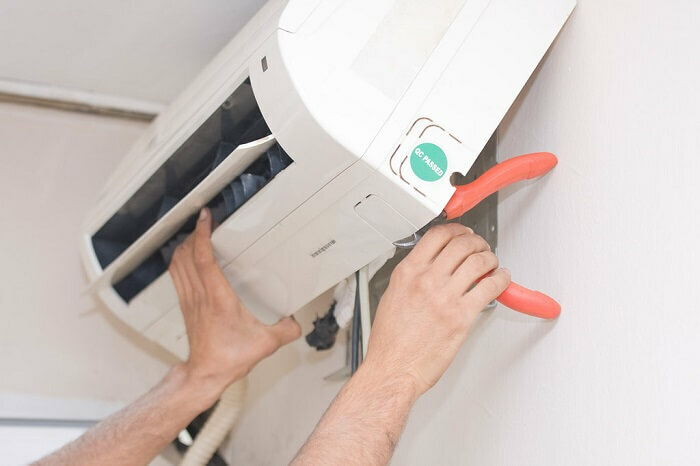 At this stage of learning how to recharge an AC unit, you have completed the installation of a brand new refrigerant to the air conditioning unit at your house. For now, just let the free flow of the cooling agent happen. To accomplish this, the only thing you need to do is to set the air conditioning unit at the highest possible setting once you turn it on. This simple step would let the cooling agent into the air conditioning unit while the AC unit gets recharged automatically. Once you identified that the air conditioning unit has consumed all of the cooling agent, then just turn off the ac unit. Finally, you just need to unplug the cooling agent container as well as both the valves. Learning how to recharge an AC unit is a skilled job but it could be risky in some situations. You need to be extra careful while dealing with the refrigerant because of its toxic nature. If by any chance you inhale it, it might have serious repercussions on your health. Even while performing a simple task of checking the older refrigerant or removing it, cover yourself appropriately with either gloves or mask. It might be a bit inconvenient, but it will only protect you from any possible reaction. When you talk about the legality of performing such tasks on the air conditioning units, not all areas are free zones. There are some geographical locations where you need an official license to accomplish the task. Only because most of the refrigerants are available as over the counter products does not imply you could start using it if you decide to purchase one. Do your own diligent research and be very cautious about the state laws where you reside which clarify how to recharge an AC unit. Even though all of the above tasks could sound very simple in theory, it might not be the case all the time. The reasons for an AC malfunctioning could vary depending on what’s wrong. However, all the detailed steps mentioned above could give you a good head-start to the project. 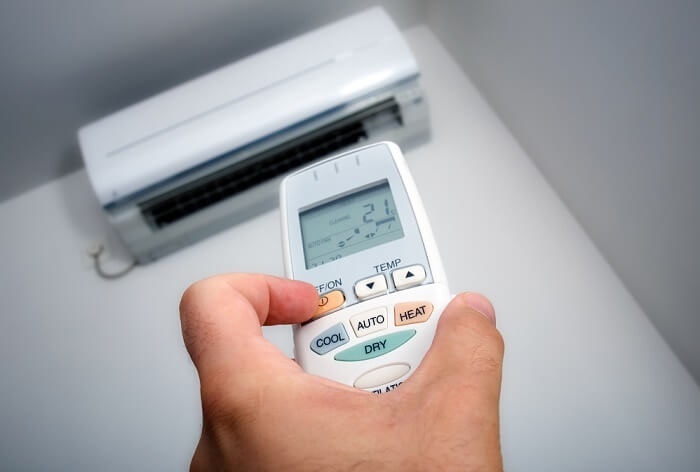 But if you feel you are not completely sure about how to recharge an AC unit on your own, do not attempt it as it might potentially mess something else in the air conditioning unit. There are plenty of skilled professionals out there. They can do the job for you for a fee while you relax on your couch.